Bethesda Vision Care serves the DC metropolitan area, including Bethesda, Potomac, Chevy Chase, Silver Spring, Kensington, and Rockville, MD. 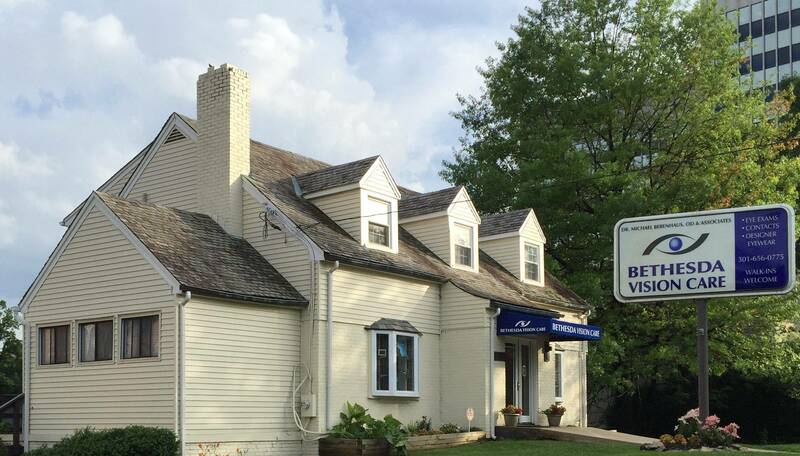 Our eye care office is conveniently located on East-West Hwy, on the corner of Montgomery Ave. Call us to make an appointment with our eye doctors to have an eye exam, find out if we accept your vision insurance, or discuss your eyeglasses, contacts, and specialty lense needs. You are also welcome to drop in anytime to browse through our large selection of designer eyeglass frames and sunglasses. Welcome to Bethesda Vision Care serving the city of Bethesda in Maryland. You are welcome to walk-in, or book an appointment that’s convenient for you.